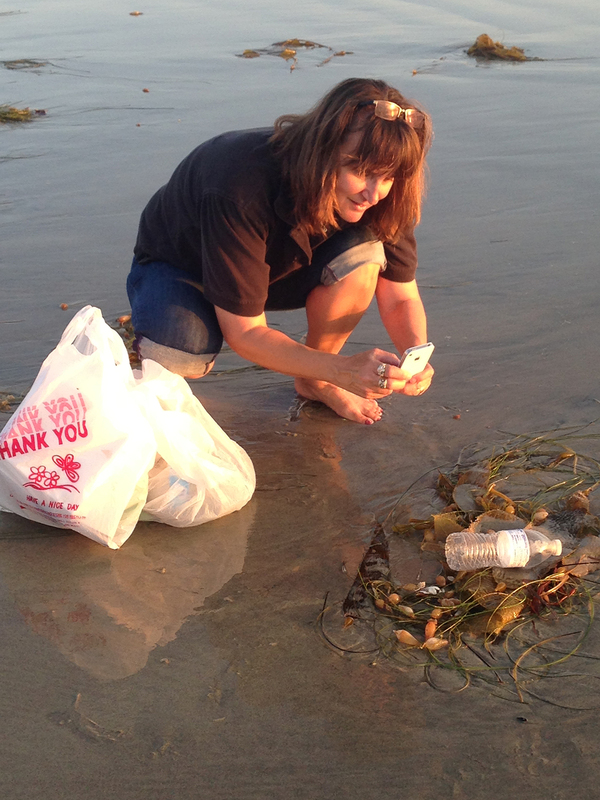 Janis Selby Jones takes a photo of a plastic water bottle washed up on the beach in Carlsbad, CA. I work as a school-based resource teacher at a Title I elementary school in Oceanside, CA. I am a San Diego Area Writing Project Fellow and a National Board Certified Teacher in the area of literacy. I am excited by the transformational impact that educational technology can have our schools and recently earned my Leading Edge Certification as an online and blended learning teacher. My teaching career keeps me busy, but in my free time, I enjoy walking the coastline. I clean the beach as I go, and I photograph many of the items that I collect. I look forward to sharing my many passions—teaching, writing, making, and photography—with you. Together we can Write the World. Yay, Janis! So happy that you took the plunge. I look forward to reading your posts!